If you do a search for “data recovery company” on Google there will be 17.5 million results, not including the ads from the companies that don’t rank in the search engines. How does a consumer choose between all these websites? It isn’t the website they need to choose from, but the data recovery company! Most consumers are pretty savvy when it comes to the Internet. They research everything from restaurants to movies, as well as TV’s and other hi-tech gadgets. The recovery of all their data should require the same amount of tenacity! DTI Data is here to help everybody find the best solution for their data loss needs. Know who the data is being sent to – Don’t take the word of a website, make sure the website has an address that is not a PO box, UPS store or one of those “business centers” with a receptionist and nothing else. Make sure they have a clean room – A picture says a thousand words, but a search on Google Images for “clean room” and there are millions of pictures. 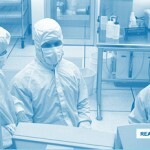 Any legitimate data recovery company with a clean room can send proof if asked for it. Check them out with the BBB – The Better Business Bureau can’t be bought. If the short list has a data recovery company that has a legitimate address, find out what the BBB has to say. The BBB will also confirm how long they have been in business at that location. DTI is located in South Pasadena, FL; our rating is A+ and also states we have been in the same location for the last ten years! Verify they are authorized to even open your hard drive – Even if the hard drive is no longer under warranty, it should still be opened by a data recovery company that has extensive experience with that drive. Western Digital happens to list their choices of qualified data recovery companies on their website. DTI Data is proud to be on that list! Know who you are dealing with – This blog is full of how to articles and tutorials written by the staff of DTI Data to help consumers solve their problems before they require our help! Call DTI Data 727-345-9665 or fill out an online quote to speak with a quality data recovery company. In my opinion customer references are very important factor.